Toss the bottle, drink in style! Ah-mazing!!!! New in my store now is this beautiful Italian glass decanter/pitcher with silverplate top and handle from Raimond Italy. It stands approx. 12″ tall, weighs about 2.10 lbs and will hold up to 15oz of liquid. It’s just perfect for entertaining! This pitcher is perfect for serving wine, sherry, mimosas or just iced tea! It also makes a great wedding gift or house warming gift. It is in great vintage condition! If you want to see more or if you are interested in buying it please visit my store here. Someone sent me these tiny little monsters and I ate them all. I must comply with this week’s photo challenge so I am sharing my favorite selfie with the love of my life. Morning coffee never looked better. Made in England sometime in the 1970s. Both cup and saucer are in excellent condition and are available in my store right now. Glamour. Old Hollywood. Class. Nordstrom. Need I say more? Now available at Kill An Hour. I am a Romanian-born, American-adopted, and newly discovered free spirit with a huge appetite for everything that’s new. I am a woman of many interests but with no particular hobbies which allows my mind to stay constantly excited. My next adventure is my next thrill! A few years ago I decided to leave the monstrous law firm days behind me and now I’m all about finding and maintaining a healthy and happy balance in my life. Best decision ever – now I’m as happy as a clam! I have a new love on my arm, two beautiful dogs named Mushu and Wally, a custom neckwear fashion line Lord Wallington together with my husband and I’m ready to conquer the world while creating and enjoying moments of simple joy and happiness. And by simple I mean getting married in Paris and gallivanting the South of France and Spain for rare and amazing finds. 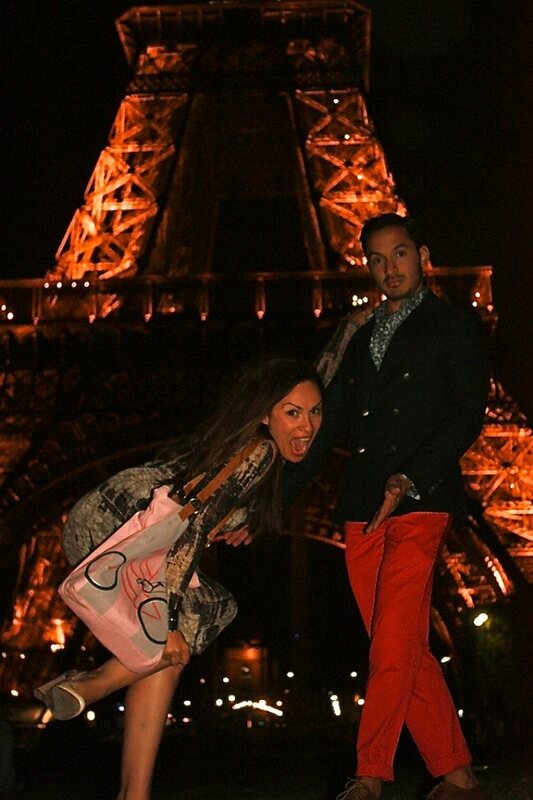 Yes, yes, you can take the girl out of Europe but you can’t take the Parisian nights away form the girl. I created Kill An Hour With Andaluza as a place where I bring your distant memories to life. Remember that old blue decanter your grandfather used to have when you were a child? And do you remember your mother’s perfume when she used to get all dressed up and take you to the fair? If you close your eyes you can almost touch that decanter and smell its intoxicating scent. The romance of those times is something that we all try to recreate in our daily lives and here we created a world that can help you re-live those times. So thank you to those of you who often visit my store and encourage me to continue to build Kill An Hour With Andaluza. Thank you, thank you, thank you! It makes me beyond happy when a customer finds a place for one of my treasures in their home. 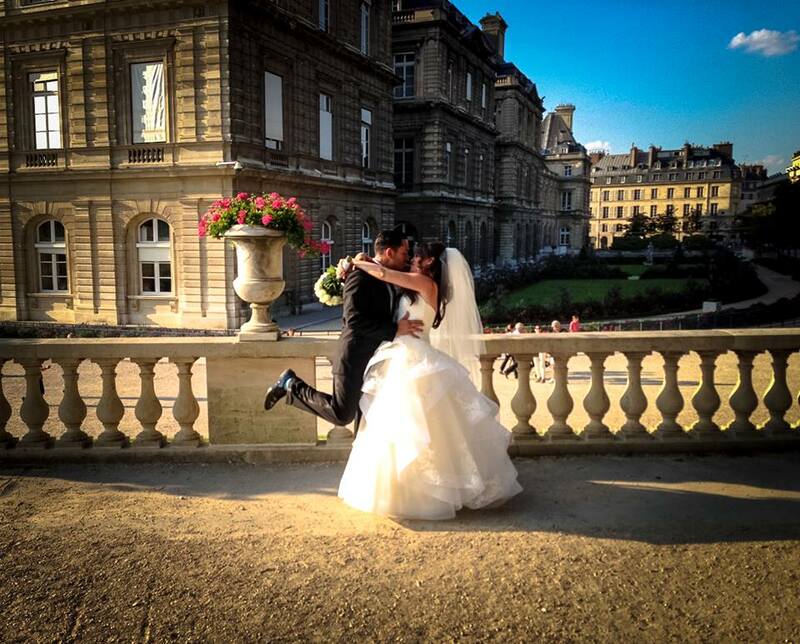 Snapshot of my fairy tale wedding in Paris…..